In an open letter, Congress Secretary General Priyanka Gandhi stated that it was her responsibility to recover Uttar Pradesh from its political stagnation. New Delhi: Congress General Secretary for Uttar Pradesh (East) Priyanka Gandhi Vadra‘s three-day boat ride on river Ganga as part of the Lok Sabha election campaign concluded on Wednesday in Varanasi, which is Prime Minister Narendra Modi’s parliamentary constituency. “River Ganga is a symbol of truth and equality. It is also a symbol of our ‘Ganga-Jamuni tehzeeb’ (cross culture). It does not differentiate among people. Gangaji is the lifeline of Uttar Pradesh and with her support I will reach you,” said Priyanka Gandhi in a letter. The Congress party’s election campaign began in Uttar Pradesh on Monday after Priyanka Gandhi offered prayers at the Lette Hanuman temple near Sangam which is a confluence of rivers Ganga, Yamuna and Saraswati. During the three-day visit, Priyanka took a boat ride and covered a distance of 100-km in Ganga from Allahabad to Varanasi. 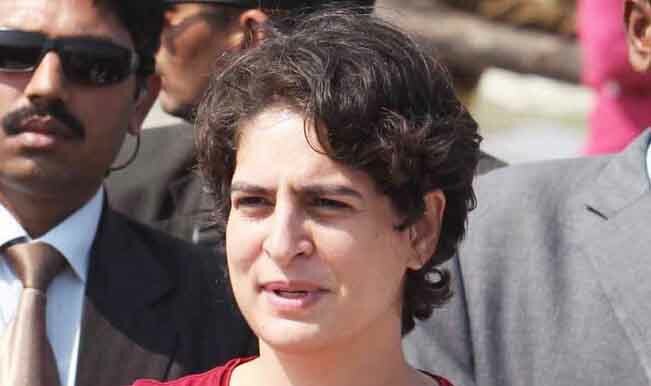 Political observers consider Priyanka Gandhi’s three-day-long Ganga Yatra as an effort to navigate her party out of a nearly three-decade-long wilderness in the state. The Congress leader said she would reach out to people through various means of transportation, including waterways, buses, train and ‘padayatra’ (on foot). She added that political transformation in the state was not possible without listening to the voices of the people and sharing their pain. Priyanka is scheduled to visit Bhadohi and Mirzapur districts as part of her election campaign. Meanwhile, the polling in Uttar Pradesh will be held in seven phases from April 11 to May 19. The results of the same will be announced on May 23.